Gag order on Menashe Arbiv corruption case lifted Sunday, reveals extent of bribery from Rabbi Yeshayahu Pinto. 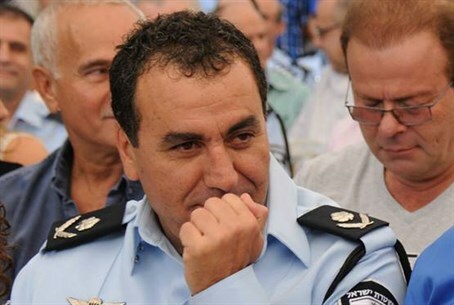 Jerusalem Magistrates Court Judge Abbas A'asi accepted on Sunday the Police Investigation Department's request to remove the gag order on the case against senior police officer Menashe Arbiv. The press has been permitted to reveal that during the course of the investigation, it was found that associates of Rabbi Yeshayahu Pinto helped Arbiv's wife and son obtain visas to the US, presumably in exchange for information. On Wednesday, the Attorney General's Office revealed that it is going to file an indictment against Rabbi Pinto, who is being tried for corruption. Pinto allegedly attempted to bribe senior police officer Ephraim Bracha with $200,000 for information about a pending police investigation into the Hazon Yeshaya charity organization, which Pinto was allegedly closely involved with. That investigation revealed that Pinto allegedly tried to bribe several other officers for information about the case against Hazon Yeshaya, including Arbiv. The charity, which was supposed to have provided millions of dollars to Holocaust survivors and ran a popular soup kitchen and volunteer network in Jerusalem, closed in 2012 under allegations of fraud.